Lisa is one of those women who are just about managing to juggle it all, kids, home and work but at the same time doubts her own abilities. She sees the other mothers around her and how they all look so put together and perfect, while she’s still forgetting her daughter’s food science ingredients. One such day, when she’s got a million things on her mind and is rushing from A to B, she gets a phone call that changes her life. Her 13-year-old daughter’s best friend, Lucinda is missing, possibly kidnapped. As the shock sinks in, she remembers that the girl was meant to stay at their house last night but never did as her daughter stayed home ill. Lucinda could have been missing for 24 hours already and it’s all Lisa’s fault. 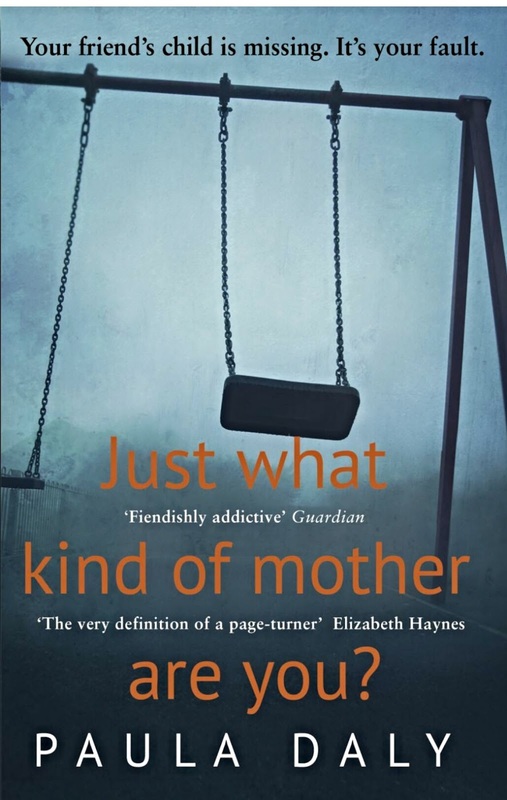 One thing I’ve learnt after reading Just What Kind of Mother are You? is that Paula Daly is the Queen of ending a chapter. She keeps them short, sharp and always seems to finish on a sentence that you just can’t stop on, she leaves you so desperate to know more. Perspectives switch between the criminal, Lisa and the lead detective on the case, giving you varying sides of the story. Daly also creates a great baddie and the small parts that are written from his perspective really leave you incredibly uncomfortable, with a lump in your throat. Just What Kind of Mother are You? is twisted, dark and tense and I loved it.